Obituary | Vernon C. Wells | Lake Funeral Homes Inc.
Vernon C. Wells, age 84, of Ionia, formerly of Saranac passed away February 10, 2011. He was born May 15, 1926 in Saranac the son of Russell and Lila (Batey) Wells. 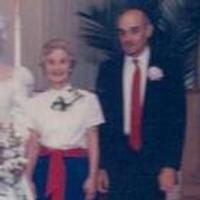 Vernon married Ruth in 1980. She passed away in February of 2011. He farmed all his life in Saranac Area. Vernon is survived by his step children, Pam (Rich) Westbrook of Wyoming, MI and Roger Wedderburn of Ionia; brothers, Wayne (Barbara) Wells of Saranac and Roy (Crystal) Wells of Saranac; sisters, Betty Adams of Lansing, Bonnie (Jessie) Frost of Portland and Donna (Norman) McKellips of Ionia; step grandchildren, Bruce (Lisa) Westbrook of Ohio, Katrina Westbrook of Wyoming and Casey (Ashley) Wedderburn of Greenville and step great grandchildren, Alec, Courtney, Nicole, Bella and Calob. He was preceded in death by his parents and sisters, Virginia, Bernice, Joyce, Norma and Ilene.